Home / Beadwork / Featured in Belle Armoire Jewelry magazine spring issue! So happy to share that my work is featured in the Spring issue of Belle Armoire Jewelry magazine, hitting the stands today! I’m still waiting on my copy, so I’ll share better photos when it arrives. 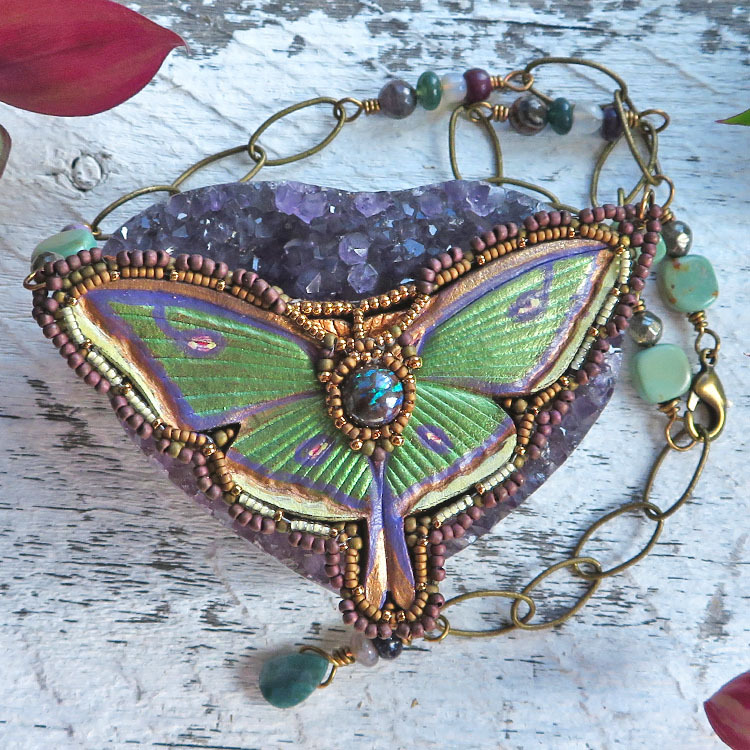 In the meantime, here’s a photo of a beaded leather luna moth necklace that was included in the article. This one features a boulder opal cab with brilliant fire, along with Nevada turquoise, moonstone, Moss agate and charoite. Many thanks to Stampington & Company for this wonderful opportunity! Next post: If you see my creations on Amazon, be skeptical.